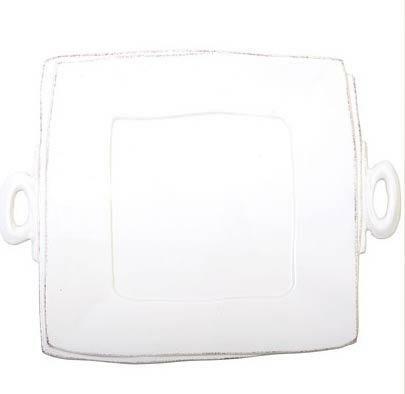 Features: The Lastra white handled square platter will be your favorite serving accessory! 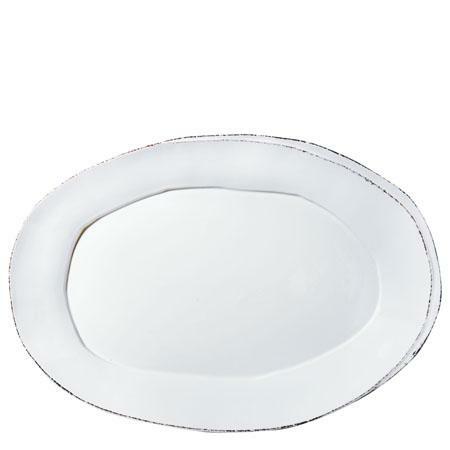 Place one of the small handled Lastra bowls in the corner and you have a great chip and dip or use to present antipasti to your guests. You will love the crisp lines and organic shapes of the Lastra collection. Handformed in Tuscany of Italian stoneware. Microwave, oven, freezer and dishwasher safe.